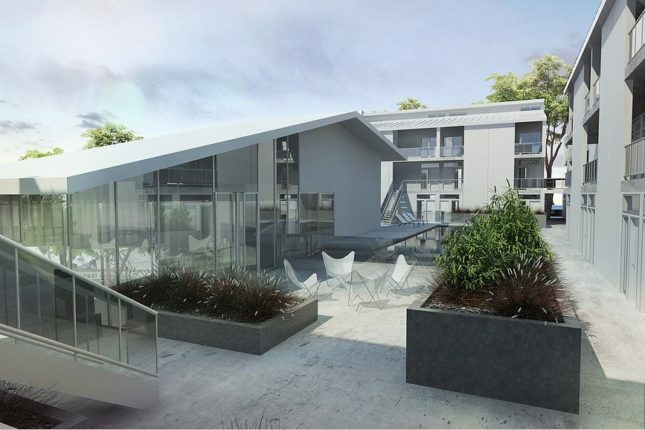 Tighe Architects brings 47-unit mixed use apartment to Temple Street in L.A.
A new 47-unit apartment complex is coming to L.A.’s Historic Filipinotown at 2510 Temple Street. 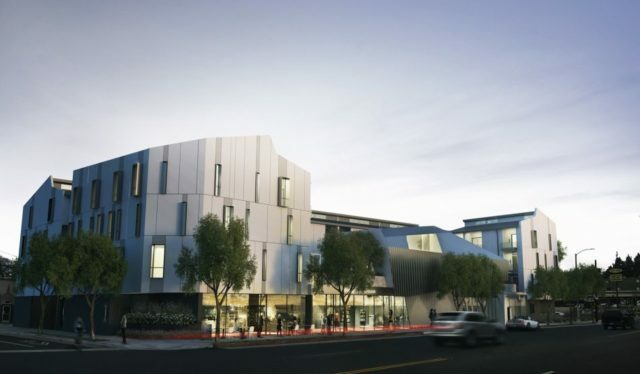 Designed by Los Angeles-based Tighe Architecture, the project consists of a four-story mixed-use structure housing 2,000 square feet of ground-level restaurant and retail space. 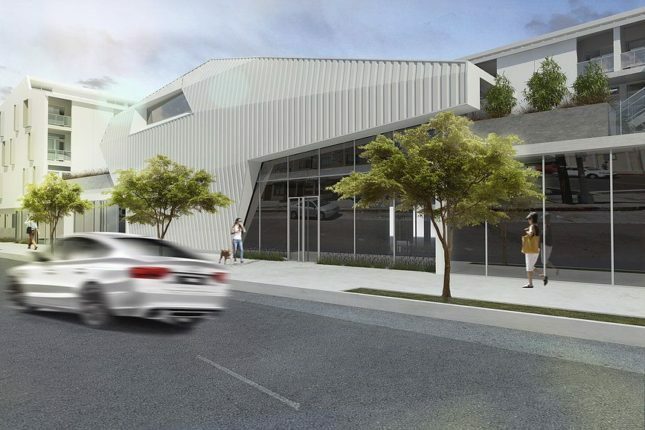 The project is being developed by 4Site Real Estate and is clad in alternating bands of standing seam metal panels and cementitious boards with vertically-proportion. Apartments are organized in a U-shape around a central courtyard that contains swimming pool, spa, and gym facilities for residents. Temple Street itself is a quickly-gentrifying east-west axis that runs through many of L.A.’s historic, Downtown-adjacent neighborhoods. 2510 Temple Street complex will also feature a faceted two-story lobby containing ground-level retail and second floor amenities. Construction timeline for the for the project is currently unavailable, but the structure is deep into construction. 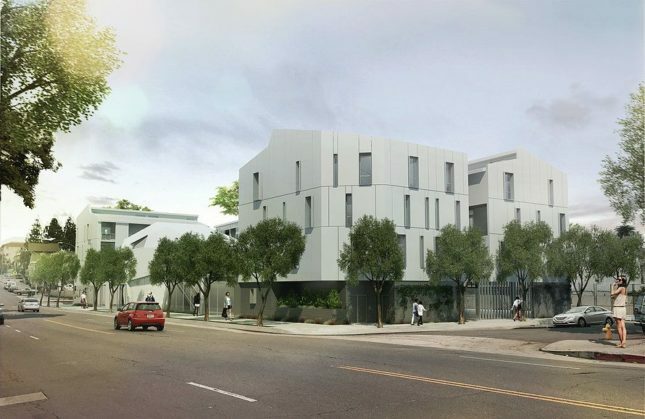 Among other projects, Tighe Architecture is known for their 32-unit La Brea Affordable Housing project for formerly homeless LGBT youth and for the upcoming North Beach Playground.